Siriobluevision creates and prints customized postcards in a variety of formats. This postcard size is 12×16.7 cm; it is printed in four colors both on the front and on the back and it can be personalized in every aspect. The minimum printing quantity is 750 pieces. This is one of our best seller products, one of the products that clients truly enjoy. 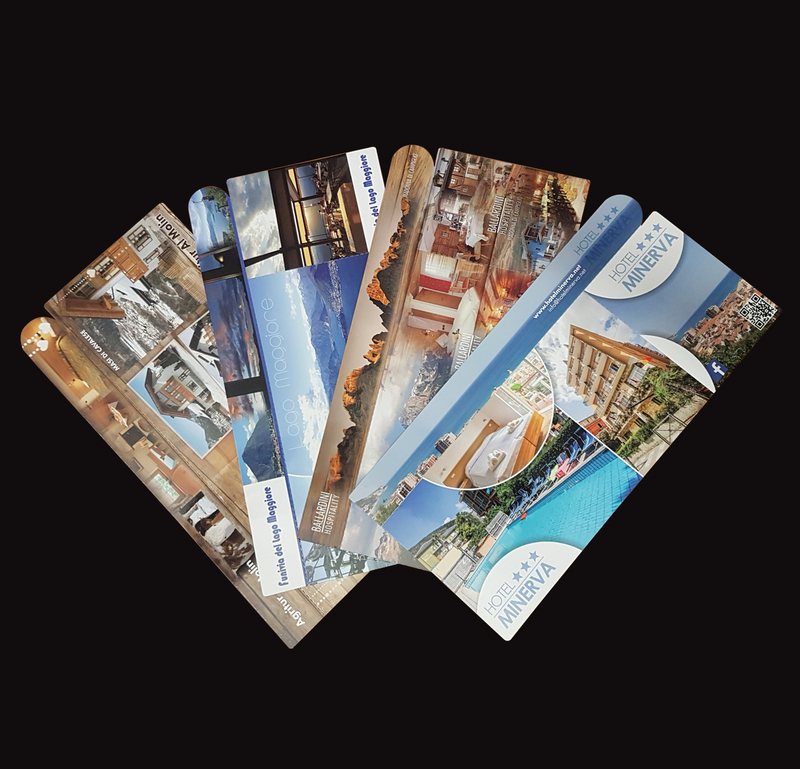 It is a promotional postcard that becomes a handy and appealing gift. The business card of the hotel/restaurant/business that the client can keep for a future vacation or to recommend the venue to a friend/relative. The business card can also become a nice memento to put on the fridge thanks to the magnetic bookmark postcards. This postcard size is 12×16.7 cm. It is printed in four colors both front and back and it can be personalized in every aspect. The panoramic postcard size is 12×50.7 cm and it is printed in four colors both on the front and on the back and it can be personalized in every aspect. The minimum printing quantity is 750 pieces. It is a landscape postcard that turns almost into a brochure: it has three leaves that can be folded one over the other and it can contain several pictures and information on the venue. Each of these products is accurately personalized by our graphic designers: everything starts with the input of our agents, which collect the first ideas of the client, then the material is processed at our office and submitted to the client for feedback and the client can recommend changes or propose ideas. The postcard is printed when it meets the full approval of the client.